Looks like the Capital Planning Commission still hates getting rid of particulates. Did anyone else see this report on how they affect the lungs of children from an earlier post? The Green Line in Dallas is opening soon. The Green Line in Portland is opening soon. And the Northstar line is coming as well. What's on tap after that? Honolulu is banning BO on buses. Helsinki is finally ordering trams replacing the old ones from the 1970's. Man those things last a long time. Am I the only one that seems bothered by the fact that all these LRT lines in Dallas and Portland are using the same ROW downtown? It limits mobility downtown severely, and if ridership grows it could affect headways, especially on street running sections. I'm thinking the next line should either run down a different street or be perpendicular to the existing line. Dallas is planning to separate the lines in the future, and the Trimet Green Line, and Yellow is running perpendicular to the blue, and red lines through the Transit Mall. They are still sharing the steel bridge though. Looks like the Capital Planning Commission still hates getting rid of particulates. This is incredibly disingenuous. I've been called "pro-death" and "pro-Saddam" recently enough to know how ridiculous it is to put this kind of implication on NCPC. What next? Is the District's height restriction also representative of a secret wish for some other kind of pollutant? The Green Line would have been sooo useful when I lived in Dalls. My perception of the whole city might have been different. Adam, the Red and Blue run E-W, the Yellow and Green run N-S.
Adam as previous posters have mentioned, the Green Line in Portland will have the new North South Mall that will also have Yellow line trains. It is actually already open and was a part of the Green line project. That actually takes pressure off the downtown mall and gives downtown more coverage. Though I do wonder if at some point Portland needs a subway under downtown. As for being disingenuous...i'm sorry I like to toss a little bit of hyperbole in there. But really aside from aesthetics, what is the issue? Nothing. The height restrictions just push development out further. There is an alternative to that issue and a healthy debate that I don't really have an opinion on. Again you like putting words in people's mouths. 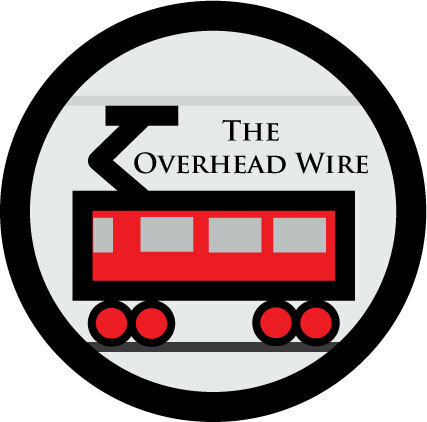 Currently there is no real alternative to overhead wires. I've heard that people are working on the issue specifically for DC. But have fun paying for it as its likely to be expensive. I've said it before and I'll say it again. My lungs don't care about an aesthetic. And JD, can you please just pick one name to post with. I know you don't like what i say, but I'd like to know when you're posting so i can read your opinion understanding who its from. I appreciate you posting here. Thanks. I've heard about a subway in Dallas before. By the way, I left this out. "Honolulu is banning BO on buses." Next after that would have to be Seattle's Airport Link Extension, I believe. The height restrictions just push development out further. Indeed, height-restricted Paris is characterized by low-density sprawl. Frankly, I think there should be another crossing of the Williamette River at least, on the southern half of Portland. Having all the LRT lines on the Steel Bridge is still a very bad idea because it creates a choke point on the Steel Bridge, thus it's an issue with headways when you get to the outskirts of the city. There's a great example of this in NYC I've experienced first hand. In the 60th Street tunnels there are three subway lines. I almost NEVER see an R train these days because they have to worry about headways, thus decreasing train frequency. I'd think that on BART, which runs four lines through the Transbay Tube (and then only one line in SF, when frankly there should be lines going to the northern part of the city and Marin), there are horrible wait times in the East Bay because of the SF choke point. Adam, there's been talk of an eastside bypass for years. It would compliment the new Milwaukie MAX bridge and connection very well. By the way, the new Milwaukie MAX bridge would be the first new bridge over the Willamette in decades! Yes. A route for the MAX Yellow Line on the east side of the Willamette would be able to provide a shortcut or an alternate route, or both. At some point in the future, it's possible MAX could require a subway. Expensive, yes, but there can be some benefits. For example, Trimet could run trains of three or more cars, compared to the current limit where it can only run a maximum of two cars based on the downtown Portland blocks. And if you place the Red and Blue Lines in a subway under where they go now between Goose Hollow and Lloyd District, you can make the existing light rail tracks on the surface into a streetcar line. It can continue to use vintage trolleys like they already do on Sundays and holidays, for example. The existing tracks are already apparently "streetcar like". By the way, Calgary is planning to put the C-Train Route 201 (Northwest/South) into a subway under 8 Ave. South downtown, one block south of the existing Seventh Avenue Transit Mall (and there, you can ride the C-Train for free!). And a future Southeast Line, which is currently proposed, would run in a downtown subway of its own and be designed so as to permit an extension to the north. You can see it here. For this one, Calgary Transit (CT) is considering using Avanto LRVs. Both projects are still a long way off, however, and CT's next C-Train extensions include short extensions of the Northeast Line and the Northwest Line, which were both extended recently (the NW Line was extended to its new terminus of Crowfoot on June 15th). In addition, at present, CT is rebuilding C-Train stations on 7th Avenue to handle four car trains, and platforms at all the stations on the three radials will be extended from three cars to four. This excludes some of the most recent stations, which were built with these provisions. because of the short blocks in downtown portland ,trimet should be building a subway sooner rather than later. i ran across an old article from 1980 when the first MAX line was being planning regarding trimet dismissing a subway downtown. my guess is a downtown subway in portland will be the grand finale of the MAX system in portland, after all the planned lines are built. if a subway is built in portland it will have to be long and complex because of the river, routing and topography, it isnt really possible to build a subway for only a mile... it will have to be several miles long and go under the river and have several junctions and branches off the trunk subway line. I actually don't understand why WMATA isn't reconsidering the Blue Line rerouting in the wake of the crash (which you can blame on 1 minute headways). If they don't do the Blue Line realingnment, you'd have 6-7 minute waits for trains during rush hours in the portions where they have only one line. You need 4-5 minute waits out there.